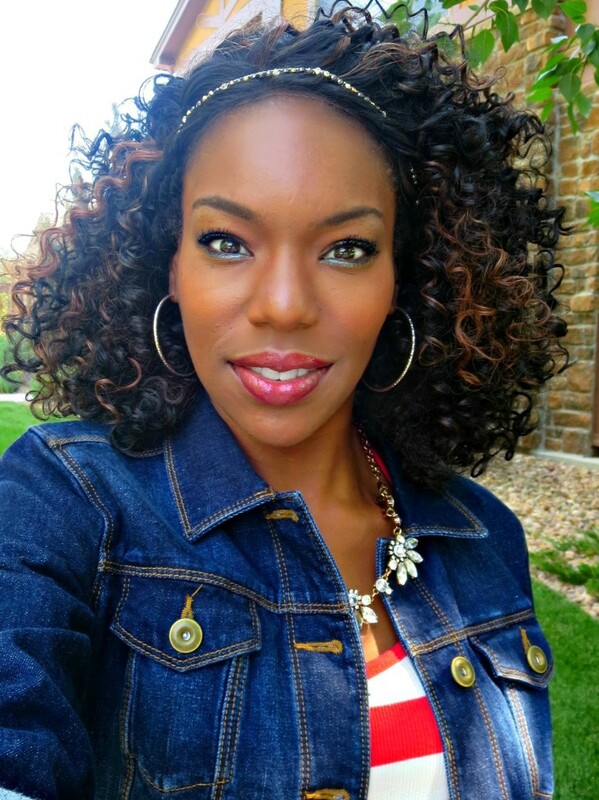 Time to bust out the red, white, blue, and barbeque to celebrate our great nation! 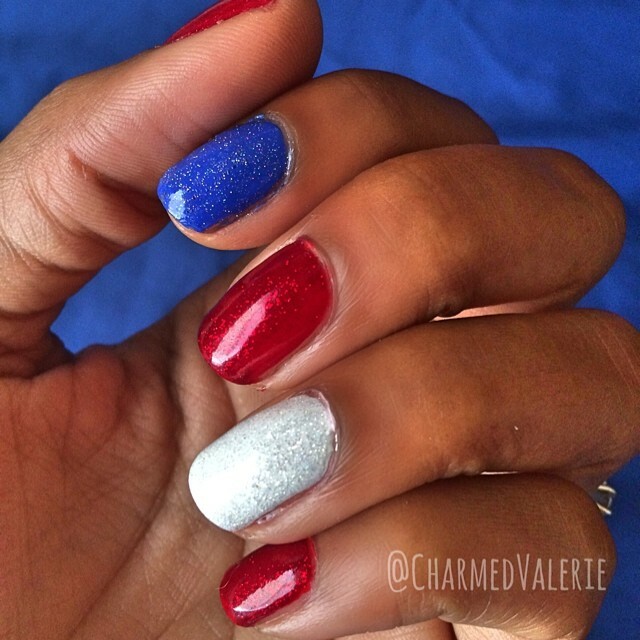 That’s right–it’s 4th of July again and I can’t help but decorate myself from head to toe. 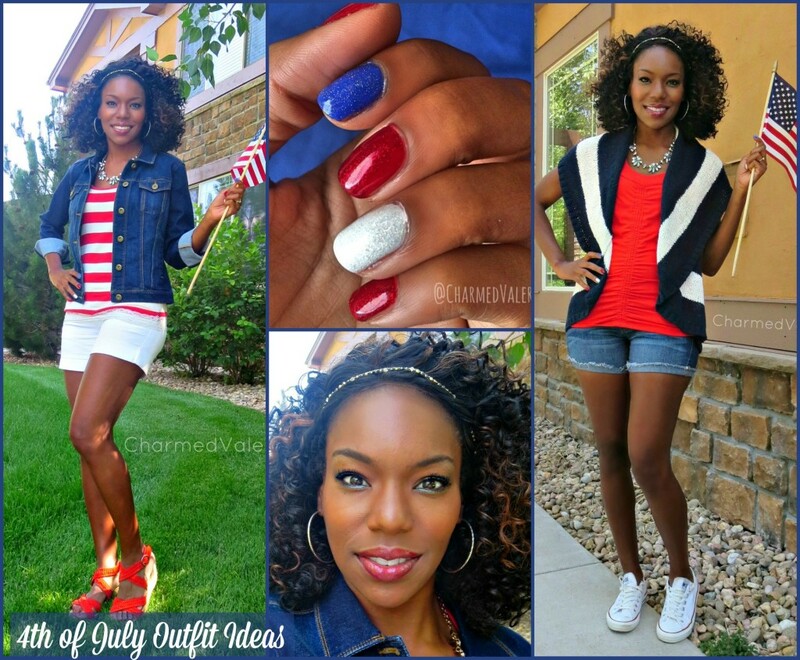 Here are a few outfit ideas (things I plan to wear on July third and fourth), patriotic nails, and a simple beauty look to top it off. To come up with this look, I did what I do when I dress for any holiday and surveyed everything I own that coordinated with the occasion. 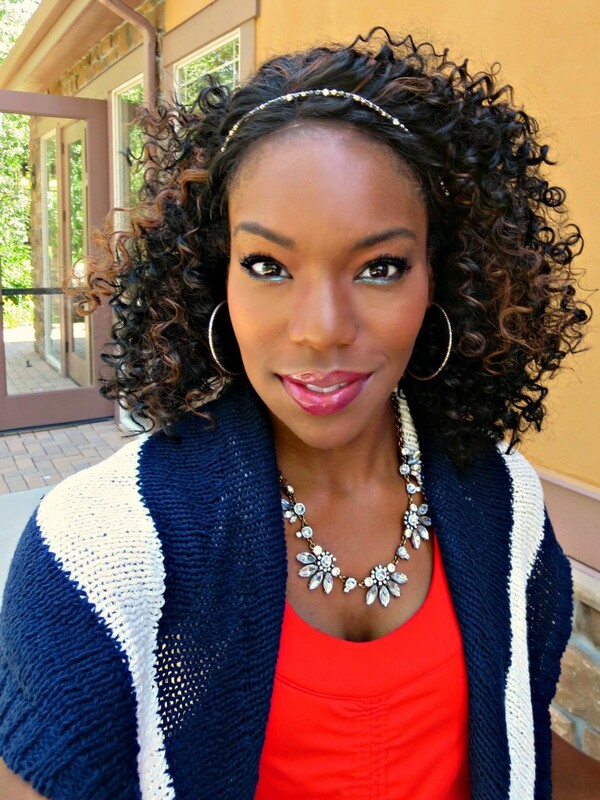 In this case–red, white, blue, stripes, and sparkles. On my face, I did my makeup like normal except with shimmery blue liner on my lower lash line (it’s Nicka K New York shimmer eyeliner that I got in my June Ipsy Glam Bag) and I layered a red Tarte lip gloss over Vivid Rose Maybelline lipstick. I cannot for the life of me remember where those earrings are from but they’re just simple silver hoops. My camera in no way did this nail look justice…glitter is not a good photography subject AT ALL. I used the Formula X system on all of my nails. I did a review on it here and it makes my polish (even non-Formula X polishes) last for at least a week with only tiny chips/cracks. So there ya go! 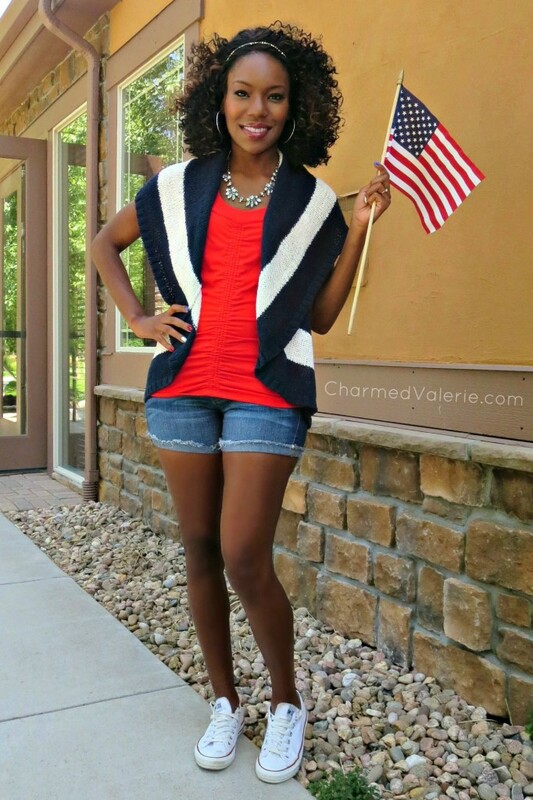 Fourth of July Valerie Style. I’d love to know what you’ll be wearing and what you thought of these looks. Have a very happy and safe July Fourth holiday weekend! Here is what my family wore July 4th, 2012. I’m linking up with What I Wore Wednesday and Random Wednesday and totally encourage you to check out what other super stylish bloggers are wearing. I love how you take a survey of what you have! I will have to do that for this 4th of July too! Cute outfits you have on! Love both looks and the nails! 🙂 Have a great weekend. There’s so much to love about these looks! Your nails are perfect!